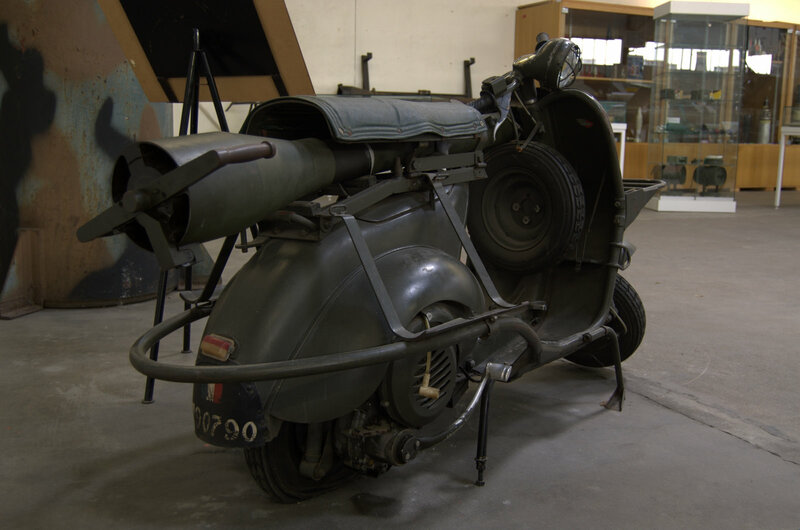 In the 1950s the French defence Ministry commissioned A.C.M.A., Piaggio’s French licensee, to produce a vehicle for military use. The result was the very special Vespa 150 T.A.P. (Truppe Aero Portate – air troops carrier), of which about 600 units were produced from 1956 to 1959 at A.C.M.A.’s factory. Used by the Foreign Legion and French paratroopers, the Vespa T.A.P. 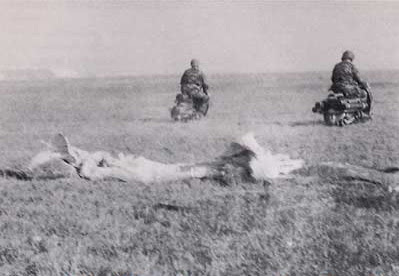 could be parachuted, and had a 75mm cannon (without recoil), six rounds of ammunition and two fuel jerrycans, and a small trolley. It was produced in two camouflage colours, green and sable. Despite its 115 kg. 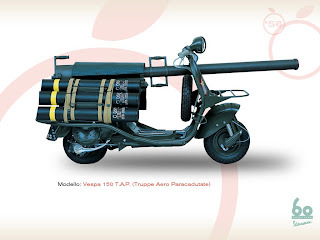 weight, the Vespa T.A.P. 150 cc remained manoeuvrable, could reach 60 km/h and go 200 km without refuelling, in the most extraordinary and unusual uses.